I want to acknowledge how wonderful all the TED Active attendees and staff were. Given the TED philosophy of “Ideas worth spreading,” it’s not surprising that everyone I talked to about metric system adoption in the U.S. were either sympathetic (if not from the U.S.) or interested (if they were Americans). I met a lot of friendly and interesting people and hope to keep in touch with many of them. I hadn’t been to Canada for a long time (though I used to live across river from it when I grew up in Detroit) so I was curious what I’d see in person with my metric system radar on. My understanding was that Canada (like the U.K.) was a “soft adoption” county. American company and dual labeling Don’t know that I’ve ever seen “liq” before. I’m told that it’s the French “onces liquides’ or fluid ounces. In this case, soft adoption refers to countries that use solely metric units in some instances but both Imperial and metric units for other applications. It’s one of the reasons that the “Turn the UK Fully Metric Now” exists in Great Britan. Sure enough, on the bus ride up to Whistler, B.C. from Vancouver, B.C. I saw nothing but kilometer signs on the roads. However, I did make it a point to visit the little store near my hotel and snapped a couple of shots on my cell phone to confirm my suspicions about the use of both units. Yes, some food products had only metric mentions (or SI as it is known to the rest of the world for “Système International d’Unités ) but many items had dual labeling (plus French, of course). Metric units steadily became normal for most products and services. However, certain areas of business did hold out against conversion, such as real estate. As I related in a previous blog, when I had a phone interview with the head of the U.K. Metric Association, and I asked him why Britain wasn’t fully metric, his reply was along the lines of “Because you’re not.” That comment prompted my piece on how our country sets a bad international example. I found out a few weeks ago that I wasn’t accepted for the Women’s Salon for the TEDxABQ event but that didn’t stop me from applying for the big TEDxABQ event that will be held this fall. If I can get in, that would be great because it has an audience of about 2,000 people. I’ve had quite a few successes recently. Getting turned down for one presentation doesn’t faze me much these days. When I mention converting to the metric system in this country, aside from its immediate rejection by some because it represents change and change is almost automatically considered bad for our survival (see my previous post on “The Metric System as Predator”), one of the reasons brought up to reject it is our English past. 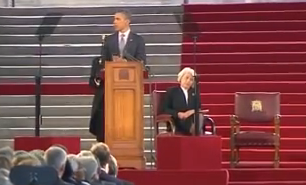 I’ve come here today to reaffirm one of the oldest, one of the strongest alliances the world has ever known. It’s long been said that the United States and the United Kingdom share a special relationship. When people raise this idea of embracing our imperial past two things immediately jump into my mind. The metric system was officially adopted in the U.K. in 1965 but its adoption remains “soft” and there are some imperial units still in use. When I asked the head of the U.K. Metric Association about this state of affairs, Robin Pace responded “Because you don’t use it. ”So, Britain is more metric than we are and it’s reasonable to say that we’re holding back both England and Canada from full adoption. That prompted my column on our bad international example for both the U.K. and Canada. If people want to argue that giving up our current units is somehow abandoning our legacy, then I say let’s embrace it all the way and recover our lost measurement history and bring back the hogshead, chaldron, scruple, minim and perch to name a few. If we want to be ridiculous let’s be ridiculously ridiculous. This grasping at our history seems somewhat ironic to me since we no longer use the “Imperial” units in this country we originally brought over; we currently use “U.S. Customary” units. 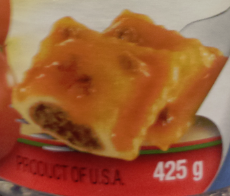 Thus, our units don’t perfectly align with any other country in the world. The Imperial liquid ounce is 28.4131 mL, while the U.S. fluid ounce is 29.5735 mL. It doesn’t initially sound like a lot but with large amounts it can really add up, particularly if we’re talking about prescriptions. 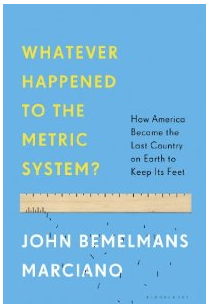 By the way, just got a copy of John Marciano’s new book: Whatever happened to the metric system. I’ve just started it but it’s getting some attention in the media. Based on previous communication with the author, I knew it wasn’t going to be pro-metric but frankly, anything that gets the discussion back on the table after 30 years works for me. Notes: 1Location 1798 on my Kindle. A few weeks ago I was interviewed by a science reporter from Vox.com. Frankly, I wasn’t familiar with this site but the reporter sent me a link to a New York Times article regarding its launch in April. Masterminding the enterprise is a former editor of the Washington Post. After I received the notice, I immediately went to check out the Vox.com site to see what kind of reporting I could expect. (Reporting styles can vary from balanced to hatchet jobs and I wanted to see what alley I might be turning into.) I was pleasantly surprised by the Vox.com site itself. A tagline is “Vox Explains: Everything you need to know, in two minutes.”And it turns out she was a former editor of Popular Science magazine. Impressive. Our interview lasted about 10 minutes and we talked about how I began working on the documentary and various other issues, some of which apparently appeared in the piece. How can I not be sure? Well, she interviewed at least two other people and I have no idea what transpired during those conversations. Frankly, it was laudable that she worked to get at least three interviews. Some reporters don’t like to put that kind of time in when they’re under deadline, as she was. I was very happy to see that the title of the piece was “It’s time for the US to use the metric system.” I could talk more about what’s in it but I’d recommend that you read it for yourself. While I wasn’t directly quoted, there was a link to this blog at the bottom of the story. I was even MORE happy to see that (as of this writing) there were more than 3,900 Facebook shares and more than 1,100 tweets of the story. The Vox pages don’t allow comments but the reporter’s contact information is on the page. I wrote her a follow-up email inquiring what kind of feedback she’d gotten and she said “Lots of passionate responses from readers from both sides of the aisle.” As of today, there were almost 260 click-throughs to this blog page. Not a huge amount but any publicity on this subject is fine by me. I’ve said it before, but there seems to be an undercurrent of interest in the metric system that is on the rise. Not only did this article come out of nowhere (may ask her what prompted her to research this topic) but the number of articles is starting to pick up. As brought to my attention by the Metric Maven, just recently the Journal of the American Association ran a story called “Group Urges Going Metric to head Off Dosing Mistakes.” A guest blogger and HUGE help to this project, Peter Goodyear wrote about this issue in March of last year. I plan to write more about this medical turn of events in future but let me point out a few other mentions that have come up lately. Having working on this project for two years, (anniversary of its conception was June 15 BTW), that’s quite a bit of media coverage in a short period of time. If my predictions are correct, it’s going to pick up from here. We’ll have to see where it leads us. A few weeks ago the chairman of the United Kingdom Metric Association (UKMA) asked me if I’d be willing to write a blog post on U.S.-U.K. trade. I would have been happy to—if I had more than a superficial understanding of the details. So instead (and since I figured he knew far more about the situation than I do) I asked him if he’d be willing to share his thoughts through my blog. He consented and what appears below are his words. This has also been posted on the Metric Views site at http://metricviews.org.uk/2013/03/will-eu-us-trade-agreement-bring-in-metric-only-labelling-in-the-us/. I thank him for sharing his thoughts with us. To visit the UK Metric Association, go to http://ukma.org.uk/. Please note: “Notice to stakeholders: public session of the EU-US High Level Regulatory Cooperation Forum in Washington, D.C. – 10-11 April 2013.” If interested and in the area, you might want to attend since it relates to this blog. For more information, go to http://ec.europa.eu/enterprise/policies/international/cooperating-governments/usa/jobs-growth/index_en.htm. 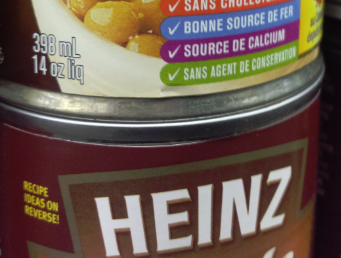 Will EU-US trade agreement bring in metric-only labelling in the US? A key point of President Obama’s State of the Union address on 13 February was the proposed EU – US trade agreement, which has been under preliminary discussion for the past year . (See http://www.guardian.co.uk/world/2013/feb/13/state -of-the -union -free -trade – europe). As this agreement is supposed to remove regulatory barriers to trade, there should now be a serious opportunity to remove the US ban on metric-only labelling of most packages. The problem is that the EU and the US have conflicting labelling requirements. The EU’s Units of Measurement Directive requires metric labelling of packages, but following lobbying from both American and European exporters, an amendment in 2009 permitted a “supplementary indication” in non – metric units, provided that the supplementary indication was no more prominent than the legal, metric indication. Thus, the metric quantity is mandatory, but the non – metric is optional (and usually omitted except in the UK). However, under the Fair Packaging and Labeling Act, the US requires that goods that are regulated at the federal level (i.e. most foodstuffs and some household goods) must be labelled with both metric and US Customary measurement units. (US Customary is similar to British “imperial” for mass (weight) and length, but differs for volume). Individual States may allow metric-only labelling for the minority of goods regulated at the State level, and all except Alabama and New York have done so. The one-sided result is that, as far as measurement units are concerned, US packaging and labelling is accepted in the EU, but EU packaging and labelling may not be accepted in the US. Consequently, any European exporter is faced with the choice of either (a) establishing a separate production line for export goods or (b) dual labelling all goods so that they can be distributed to either the home or the US market. The reasoning behind the 2009 amendment to the EU Directive was that, if the amendment had not been agreed, exporters would have had to produce separate packaging for the two separate markets. It was claimed that this would be a significant additional business cost and hence a non-tariff barrier to trade, which would be illegal under the rules of the World Trade Organisation. Rather than insisting on an immediate reciprocal concession from the US, the European Commission decided, as a gesture of good will, to concede the point in the hope that the US Congress would relent and allow labelling that was legal in the EU to be imported into the US. So far, however, this has not happened as it is opposed by powerful industrial interests that are influential in Congress. The ostensible – and illogical – basis for their opposition, is that if metric-only labelling were allowed, manufacturers would have to change their package sizes to rounded metric quantities – e.g. 500 g rather than 1 pound (454 g), and this would entail major investment in packaging machinery. Since there would obviously be no such requirement, one can only conclude that the real basis of the opposition is protectionist. The significance of all this for metric advocates on both sides of the Atlantic is this. If metric-only labelling were permitted in the US, then it would be possible for European manufacturers to dispense with supplementary indications completely. This would be particularly beneficial in the UK, where the ubiquitous presence of imperial units is a constant drag on adapting to metric units, as well as being a reminder that the process of metrication – begun 48 years ago – is still far from completion. In the US the increasing presence of metric-only labelling would provide an incentive for American consumers to visualise and familiarise themselves with the metric units that they may have touched on at school but have long forgotten. There are of course many other aspects of package labelling (such as specifying chemical contents and nutritional information) that may need to be resolved in the forthcoming talks, but metric-only labelling would be an easy win that it should be possible for the parties to agree. I’ve already mentioned in this blog that I believe that the United States is not only holding itself back with regard to its lack of metric adoption but we serve as a bad example for our sister countries such as the United Kingdom and Canada. While both of the aforementioned countries use the metric system much more in daily life than we do here, the changeover has been less than complete in both. When I asked a metric authority in the U.K. why the conversion was less than 100 percent in his country, the basic answer was “Because you don’t use it.” As I heard the words escape his mouth, I not only knew he was right but I was embarrassed as an American that our country could have had such a backward influence. Well, we’re apparently striking again. But still, any shift toward imperial from metric units represents a backslide as far as I’m concerned. This wouldn’t even likely be under discussion if we, as a nation, had moved to a metric system 200 years ago when Thomas Jefferson wanted us to! As long as the U.K. depends on us for revenue and we continue to ignorantly stumble forward with an antiquated measurement system more backsliding is possible elsewhere in the world. This is, at least until we’re no longer a global economic superpower. Would converting to the metric system help us economically in the world marketplace? I’m not qualified to answer that question but it seems likely to me that a complete changeover to the metric system might help us better compete. Do we really want to find out too late that it was something we should have done? Why would we even want to take that chance? There is tons of information on the main website at http://www.nist.gov/index.html, If you want to drill down to the metric system resources, they’re under the Physical Measurement Laboratory (http://www.nist.gov/pml/wmd/index.cfm) and then you get down to the resources for the metric system: http://www.nist.gov/pml/wmd/metric/metric-program.cfm. There is a phenomenal amount of information on this organization’s pages and it’s been around since 1916. (I love people who don’t give up the good fight.) It was the extremely sad litany of information on this page (http://lamar.colostate.edu/~hillger/dates.htm) that led me to embark on my current quest. Feel free to look around and join the organization. I’m sure they’d love for you to sign on as a member and it’s only $30 a year (see page for multi-year discounts) to help along its fine work. http://lamar.colostate.edu/~hillger/. Reddit, which refers to itself as “The frontpage of the Internet,” has its own metric posting pages. The metric section already has more than 5,000 members and it’s free to join in: http://www.reddit.com/r/metric. There are also now subpages devoted to metric cooking: http://www.reddit.com/r/MetricCooking. Come on in and look around. You might decide to stay for awhile. The Maven has spent considerable thought on metric issues and shares his insights on his blog, which he adds to on a regular basis. Yes, we cross promote because we’re both heading in the same direction. Just makes sense to me. Go to http://themetricmaven.com/ to read more. Another advocate, this site describes itself as “MetricPioneer.com is dedicated to United States President Andrew Johnson and to Metric Pioneer Antoine Lavoisier (1743–1794 CE) Father of Modern Chemistry, who helps construct the metric system during the French Revolution while working alongside Benjamin Franklin in France.” Metric products are for sale here. As far as I know, he’s currently got this market cornered. Check it out: http://metricpioneer.com/. One of the first people to reach out to me, the lady behind this site states: “Our goal is to empower K-12 students to succeed in Science, Technology, Engineering, Mathematics, and Military (STEMM) by preparing them to think in STEMM’s occupational language.” Find out more at http://www.helpmpower.org/. Another nonprofit organization, help out if you can. While this might seem like a niche organization, these are the folks are the keepers of National Metric Week (the week in which November 10 falls [as in 10/10]). Its mission: “The National Council of Teachers of Mathematics is the public voice of mathematics education, supporting teachers to ensure equitable mathematics learning of the highest quality for all students through vision, leadership, professional development, and research.” More at http://www.nctm.org/. This organization has been supportive of my efforts from early on. While the U.K. is mostly metric, it’s not all the way there and we’re holding them back. Let’s stop that. For more information, go to http://ukma.org.uk/. I have it on good authority that Australia has embraced the metric system and Imperial units are difficult (if not impossible) to find—which is a sign of real success. This is a country we may want to emulate when our time comes. For more information, go to http://www.measurement.gov.au/. Its pages state: “GO metricUSATM is an organization dedicating to promoting the adoption of the metric system in the United States of America and to help industries cut costs.” http://www.gometricusa.org/default.html. Don’t know much about this either, but it follows me on Twitter and frequently retweets me. Its Facebook page states that its cause is to “Educate, promote and encourage daily usage of the Metric System. Make SI the only measurement standard of science, math, industry, trade, and education in the USA.” Here is its link on Twitter https://twitter.com/GoMetricAmerica and Facebook http://www.facebook.com/GoMetricAmerica. Don’t see a website for this one, but the Twitter page is https://twitter.com/Metric8America. If I’ve missed you, I apologize. Let me know. Relevant ones can always go into another blog on the subject.